Tuberculosis remains a worldwide public health problem, particularly in developing countries. It is making a resurgence in the West as a result of AIDS. The causative organism was discovered more than 100 years ago and highly effective drugs and vaccines are available making tuberculosis a preventable and curable disease, but the control and eradication of it remains to be seen. 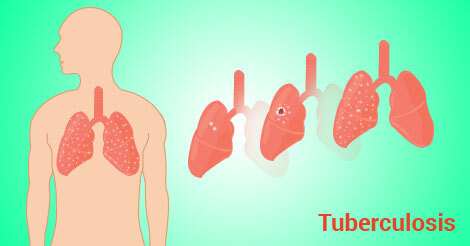 Tuberculosis is a specific infectious disease caused by the Mycobacterium tuberculosis (MTb) M.tuberculosis is an organism which thrives in the interiors of cells, and is therefore resistant to the action of many drugs. The disease primarily affects the lungs and causes pulmonary tuberculosis. If the infection spreads, it can affect virtually any part of the body. Thus, the intestines, the nervous system, bones and joints, lymph glands, skin and other tissues of the body can be affected. According to conservative estimates, there are about 15 to 20 million cases of infectious tuberculosis in the world. About three million die of tuberculosis each year and four to five million new cases occur each year. The problem of tuberculosis is acute in the developing countries which account for more than three fourths of the cases in the world. Tuberculosis is India’s biggest public health problem. It is estimated that there are 5,00,000 deaths annually due to this disease, while a similar number of persons get cured. The population in Developing countries like India is exposed to tuberculosis. Thus, the skin test for tuberculosis will be positive in a large number of people. (See skin testing below). The disease, however, does not develop in everyone who is exposed. Poor nutrition, overcrowding, low socio–economic status, the immuno–compromised are more likely to develop the disease. The prevalence of people who are infected is about 30% of the population. The prevalence of infection is more common in the younger population. The vast majority of cases are to be found in rural and semi–urban areas, where more than 80% of the country’s population live. In urban areas, tuberculosis is found more frequently is slum–dwellers and lower socio–economic groups than in well off groups.